Informatics software out of the box? In the second of her articles on how long-established informatics software can continue to meet the needs of today’s users, Gloria Metrick considers changing technology and out of the box software. Over the years, the term ‘out of the box’ has been used so loosely that most customers now know it no longer truly means software that is shrink-wrapped and ready to be dropped into their operations. However, software vendors still aspire to make their systems as out-of-the-box as they can. In The challenge of change for informatics software, the first article in this series, I discussed how vendors were constantly seeking to understand user needs and requirements as they changed over time. 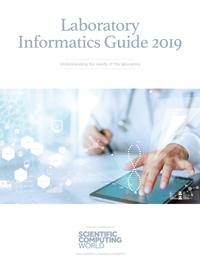 This report analyses how changes in technology in the business climate are affecting the evolution of informatics software. LVS (LabVantage Solutions) is constantly striving towards ‘out of the box’ for its software, because it makes upgrades and internal maintenance easier, so it benefits both customers and the vendor. Autoscribe’s approach involves its configuration tool that it now uses to create all new industry templates and implementations. Thermo Fisher Scientific originally created its workflow tool for new workflow implementations in one specific product, Nautilus, but has now rolled that tool out to other products (e.g. SampleManager), as well. Each software vendor said that the less programming done for implementations, the better; and the less programming that customers have to support for their future needs, the better, as well. This means that, while these software vendors support the tools customers used to implement their systems, they will continue to look for new tools that do not require the level of development needed in past implementations. For example, Thermo Fisher Scientific strongly urges that new features be built with its workflow tool, but it will not demand that customers get rid of the VGL and C# code that has already been created for their systems, so that this investment and effort does not have to be discarded. As Matt Grulke, the company’s director of marketing and product management, points out, customers have fewer people to implement and support these systems, and more people now handle multiple tasks and have even less time for each system they manage and support. So, it is more important than ever to make these systems work as completely as possible upon installation. Companies that have had to merge products and/or features from acquired products face a different task from developing a new product. Matt Grulke pointed out that when a product is being built from scratch, there are few constraints, although it is important to make the design resilient. But when one product is merged with another, the task is a balancing act of determining the most beneficial features to combine. Additionally, there are products that will not be merged at all. For example, Thermo Fisher Scientific’s Watson product is so specific to the drug metabolism market that customers specifically asked that it not be generalised for fear of the risk of losing its unique value proposition in the market. Puneet Goel, director of product management and marketing at LVS, also mentions that a company will look at its entire portfolio when merging products. Even though customer needs may be the same before and after a product is acquired, the path toward meeting those needs changes slightly. The upgrade path to bring products together will be different. The software vendors all talk about upgrades and rewrites, and each seems to stress the process of doing so more than the need to respond to technological change, per se. However, staying current with technology is important to them all as well, as it is also important to their customers. Generally, issues such as being web-enabled and current with the latest versions of Oracle and SQL Server are important. Past that, however, many details change. For example, being web-enabled today is not exactly the same as it was when the first products became web-enabled; browser abilities have changed. The fact that tablets and other devices are now used extensively increases the burden of checking product usability. With so much technology involved, delivery paths must be well-controlled. Autoscribe keeps up with technology by providing product releases every three months in order to get new features to customers quickly. Because controlling variations is important along with quick delivery, LVS uses the Agile methodology for development, and plans three-week iterations in order to adjust the software to keep its releases on schedule. Autoscribe plans ahead so customers can plan for upgrades. Thermo Fisher Scientific spoke about the importance of creating a good track record in upgrades, and the company’s Trish Meek insists that it does not want to surprise customers. Gloria Metrick is the owner of GeoMetrick Enterprises (www.geometrick.com), specialising in the implementation of Thermo Scientific SampleManager and the LabWare LIMS/ELN products. GeoMetrick Enterprises is the home of Out on a LIMS: The Newsletter and Blog For People Who Risk Life and LIMS on a Daily Basis. This is the second article in this series on informatics by Gloria Metrick. The first article was The challenge of change for informatics software. In Expanding the market for informatics software, her final article on the challenges facing long-established informatics software vendors, she considers their expansion into new markets but concludes that, as ever, the customers’ needs are the driving force.